Hopefully you have resolved all of your hose concerns by now. Look carefully at your hoses, particularly at the hose connections. If they have metal sleeves that are crimped, you have a rubber hose. It appears that the supply & return hoses shown in your photos have crimped sleeves and therefore are rubber. 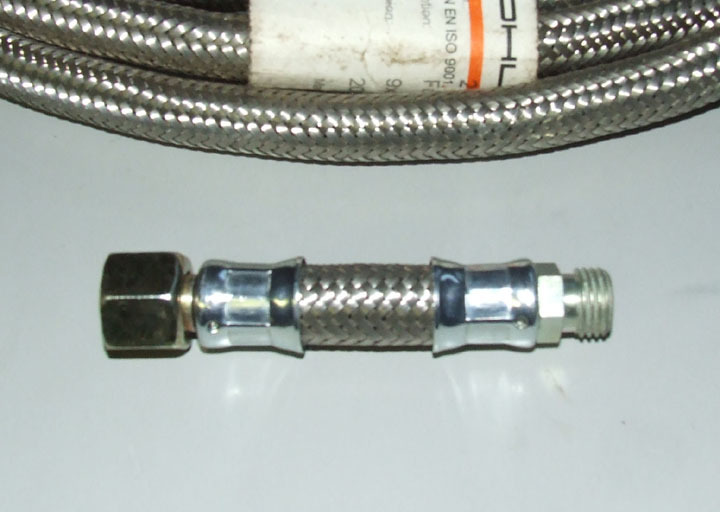 The fittings used with this hose are designed to be crimped. 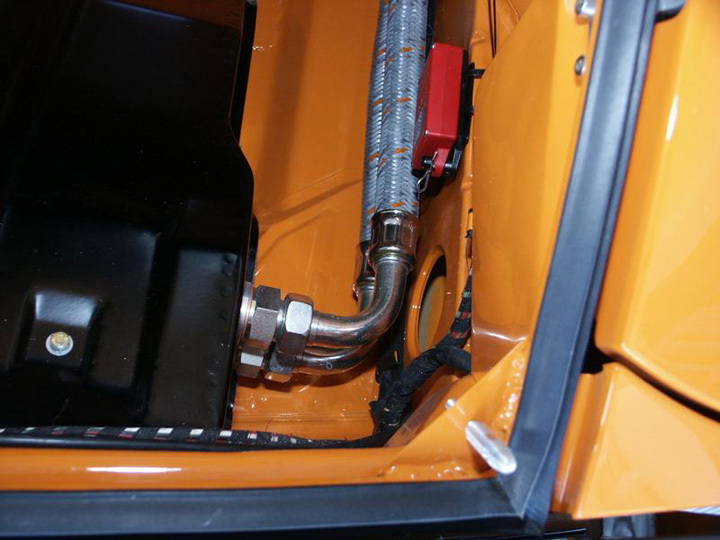 A TEMPORARY fix is to use a proper & correct Fuel Injection hose clamp. Do not use a HF clamp of any kind. 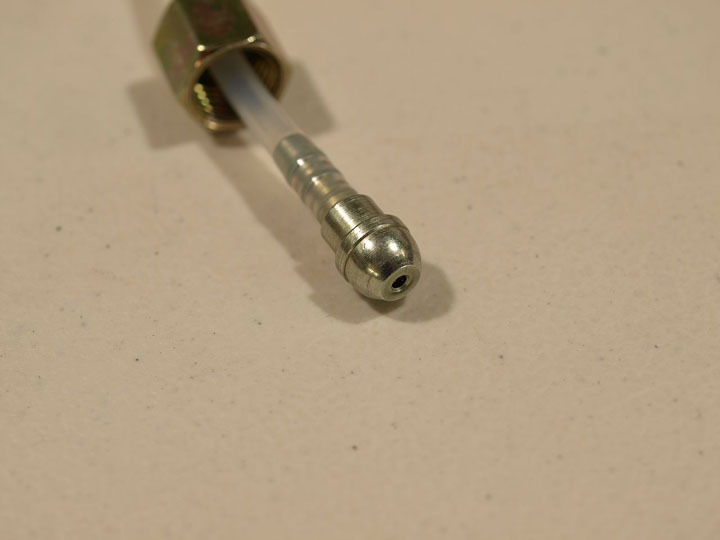 The CIS system itself uses plastic or Polyamid hose (tube), and this is NOT meant to be crimped. This is "push-on" design using a specific assembly tool only. The hose barbs are designed to bite into the plastic and are a permanent connection good for over 100 psi. The larger diameter CIS lines are rubber covered Polyamid and use sleeves that are NOT crimped. Its likely that the sleeves are there to keep the rubber covering from peeling back. 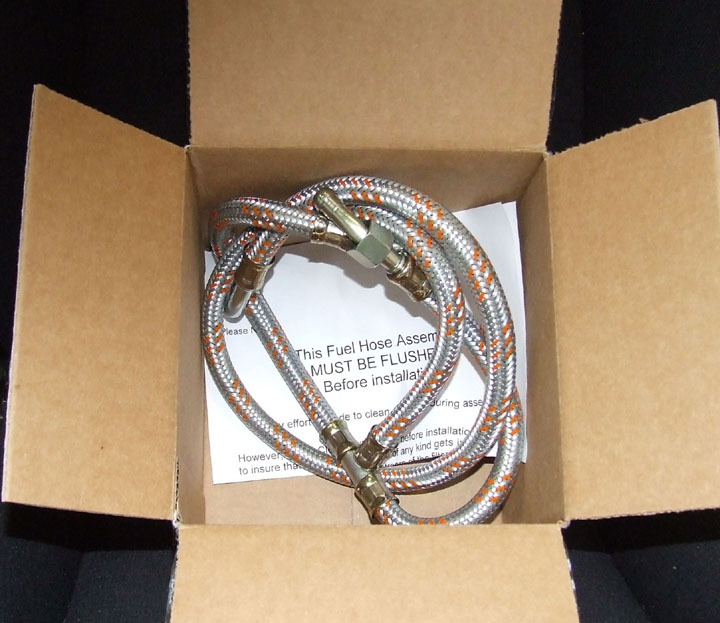 I have been making up replacement Fuel & Oil lines for Porsches for more than 20 years. All of the ones shown below are crimped and use only original German Metric hose & fittings. If you would like any additional information please feel free to email me. Last edited by BoxsterGT; 01-10-2010 at 05:06 AM..